The following is a User Interface Design targeted at health and wellness design. 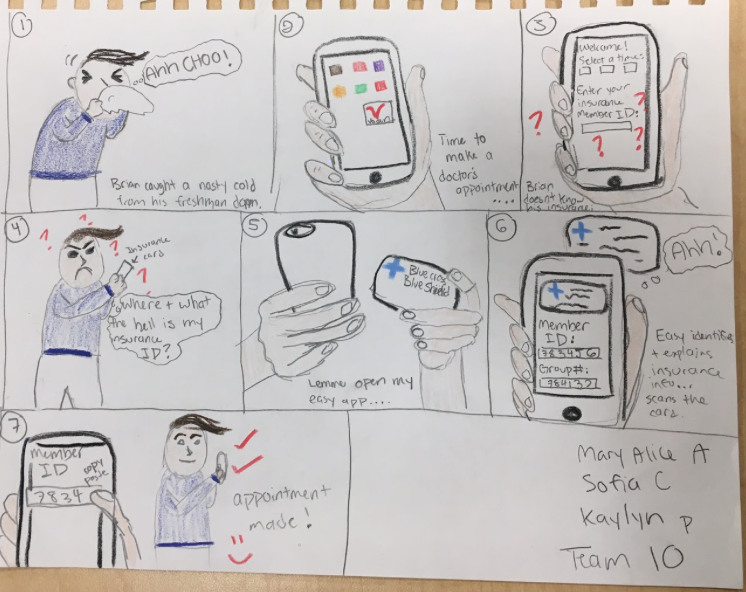 This project was created for ME115B at Stanford University by Mary Alice Arnstein, Kaylyn Pugh, and Sofia Carrillo. Our goal was to create a personalized way to consolidate health information and allow the user to gain agency with tracking their health. 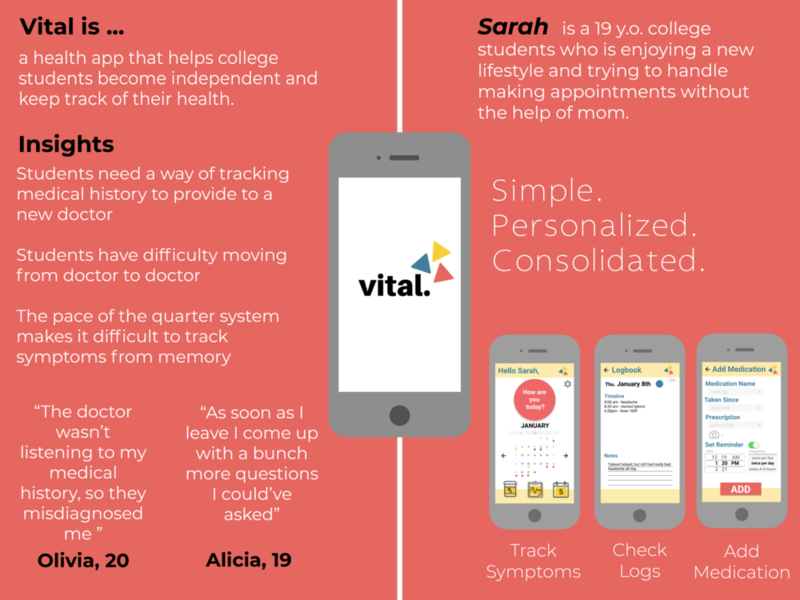 Sarah is a 19 year old college student who is starting new medications and enjoying a new lifestyle of becoming more independent and needs a way to monitor her health and keep track of her relevant medical information. We started by creating storyboards of potential interactions our user would have with Vital, including features and design requirements we felt necessary for our app. This prototype is for more long term treatment and tracking of prescribed medication. This app wants to provide a simple way for college students to keep track of their medication and determine do’s, don’ts, and potential interactions. In this prototype we were looking at a way of tracking symptoms through a calendar logging system that could later be used at an appointment. This prototype is addressing the need of monitoring health during a students busy schedule. This would feature a calendar system that uses color-coded symptoms, a reminder for prescriptions, and a notes section to keep notes for a doctor. Our initial brainstorming session with our observations from initial interviews, detailed needs, and resulting design requirements. After consolidating some of our ideas and creating storyboards, we created two lo-fi paper prototypes and engaged in user testing to better inform the next steps in our project. 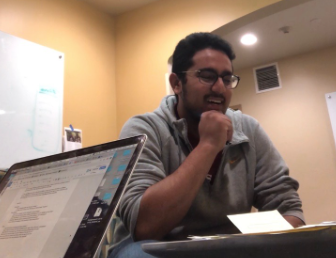 We created a script for the testing and had our users test out different scenarios that would utilize our app, such as adding a new medication and getting a refill. One of the paper prototypes we created for user testing. Brainstorming our screens for interaction flows. We created two different paper prototypes to aid in our user testing. Logging symptoms for today and checking a previous days log. Adding a new medication and refilling your prescription. Prepare to visit the doctor by checking your files and write down any relevant questions.